Isn't that cool looking? I just mixed a dropperful of Ojon Damage Reverse Instant Restorative Hair Serum and three good sprinkles of Jesse's Girl Secret Weapon eyeshadow in the palm of my hand and then applied it to damp hair before blow drying. It stayed in my hair through blow drying and flat ironing and lasted all day without falling out all over and making a big sparkle mess on my shirt. 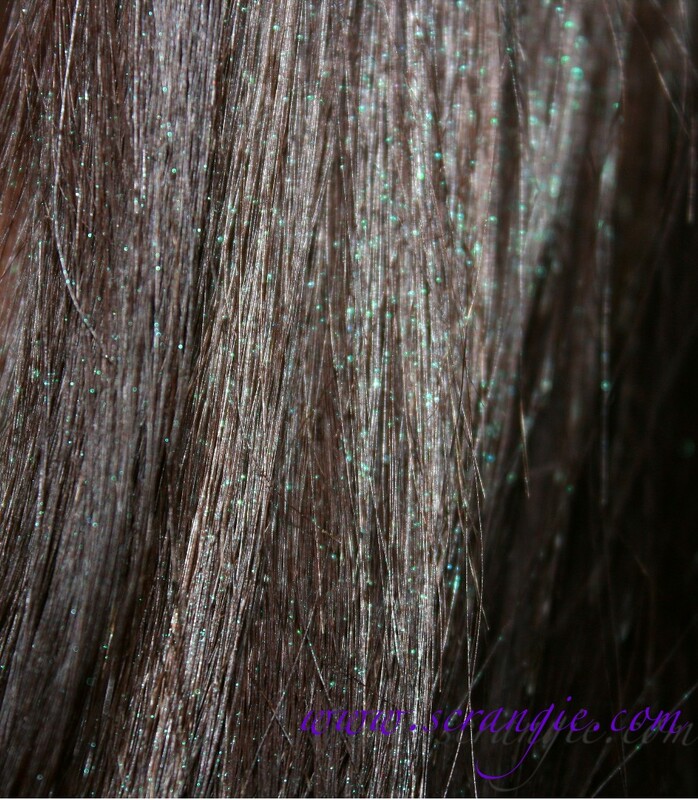 It gave my hair subtle blue/green duochrome sheen that you could only see up close. When sunlight hit it, it glistened with little blue, green and purple sparkles. I thought it looked awesome. It made my hair feel a little chalky (probably from talc in the eyeshadow), but it was worth it. I'm going to try it again with other loose eyeshadows and see how they go with my hair color. I've used gold glitter before (Make Up For Ever Diamond Powder, my favorite) and I've used a serum that claimed to have mica sparkles (it was lame), but this is my best result so far. 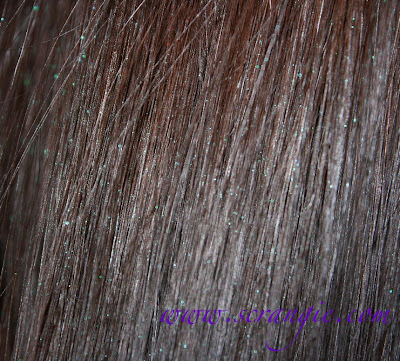 It's not as sparkly as the Frederic Fekkai Spray-On Hair Crystals (I love that stuff, I have it in copper and silver), but it is a lot less messy. 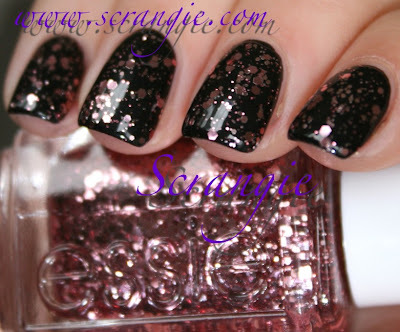 Essie has a whole collection of glitters for holiday this year. Is that a shock or what? 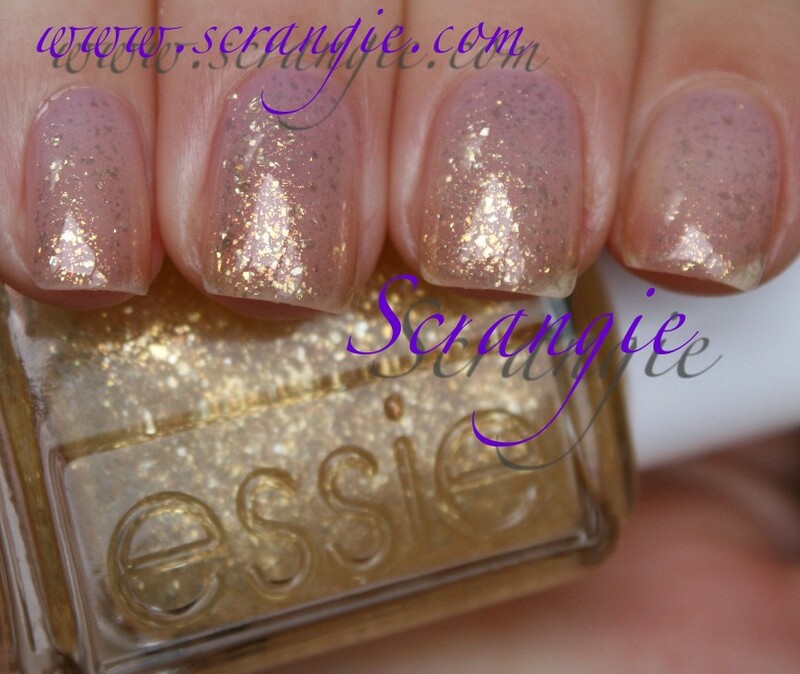 I can't really remember the last time Essie did a glitter. I know they've had a few in the past, like the legendary Starry Starry Night and Ruby Slippers, or the lesser-known Glass Slipper. 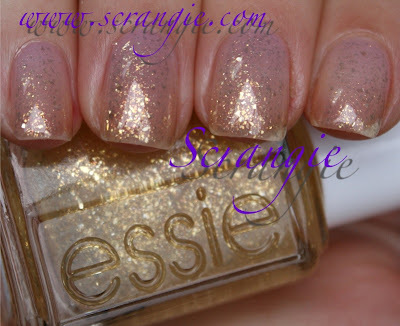 Then there's the silver, gold and hologram sheer glitter topcoats from the permanent line (Gold Nuggets, Silver Bullions, Carnival), but other than that, it seems that Essie just doesn't do glitter. So, awesome, way to go Essie! We nail junkies love our glitter, and these new Essie glitters are pretty nice. The Essie Luxeffects collection is a set of five multidimensional glitter topcoats. They're intended for layering over other polishes, but they look pretty good by themselves, too. Essie A Cut Above. This is a pink glitter in a clear base. There are several shapes and sizes of glitter in here. Small, medium and large round and hexagon glitter pieces. 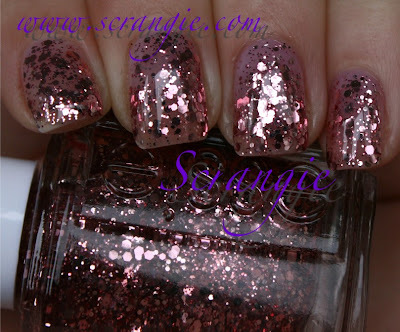 This pink has a little bit of copper to it that makes it a little different from the standard faded warm pink glitter. It's almost a copper rose more than a true pink. Essie As Gold As It Gets. This is gold flakes in a clear base. Lots of different shapes and sizes of flakes, too. Some of the particles look like very small round glitter, and there's a bit of iridescence in some of the particles that reflects red and bronze when the light hits the polish just right. 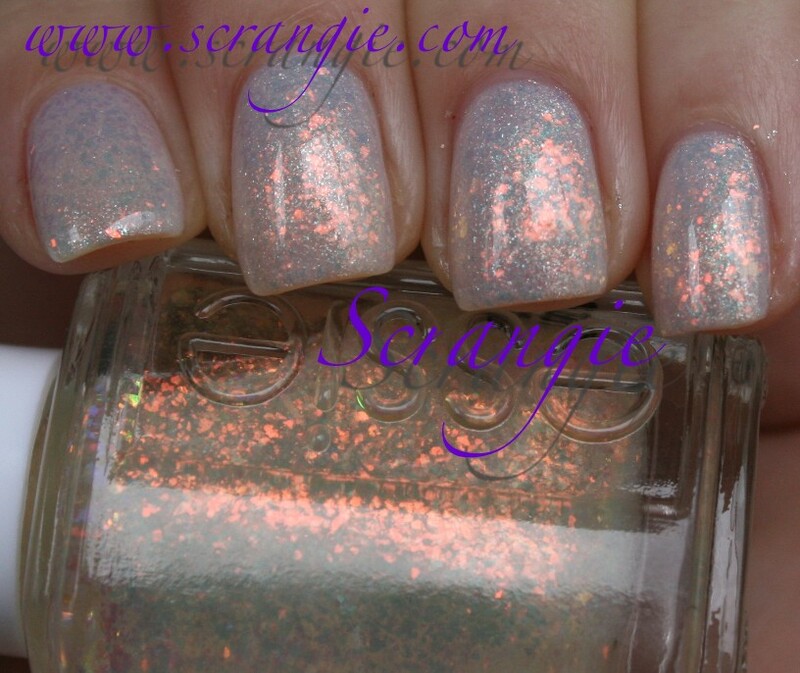 Essie Pure Pearlfection. This is a very fine silvery-white irregular sparkle particle in a clear base. 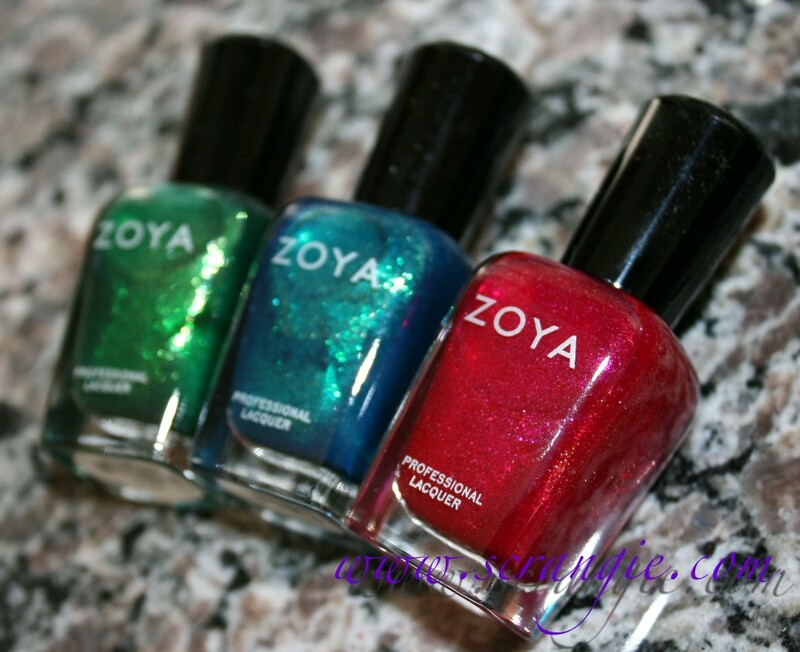 It's similar to other clear sparkle topcoats like Zoya Sparkle Gloss or Nubar Pixie Dust. The particles are mostly a cloudy clear color, but in certain lights they have a prismatic effect and sparkle in a rainbow of colors. Essie Set In Stones. 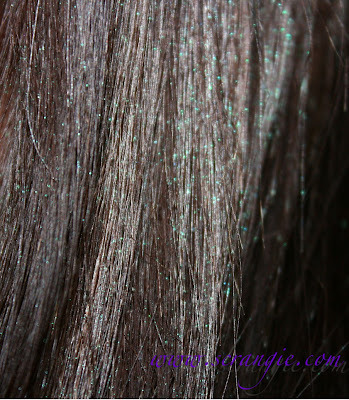 This is a silver glitter in a clear base. It's the silver version of Essie A Cut Above; multiple shapes and sizes of glitter including round and hexagon. It's very shiny and bright, but not particularly sparkly. Essie Shine Of The Times. 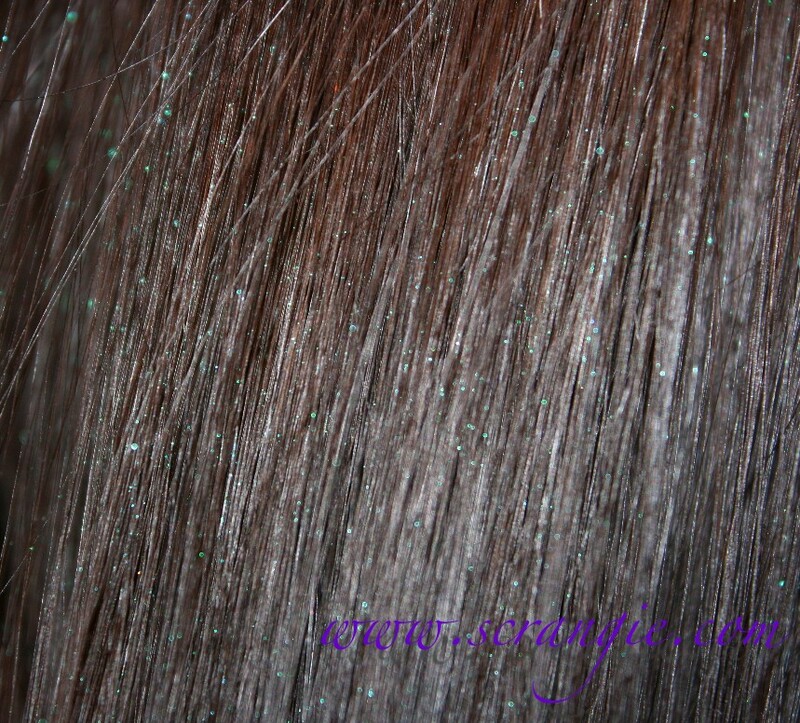 A multichromatic flaky glitter topcoat. This shifts to every color except purple, but the dominant colors are red/orange and green. 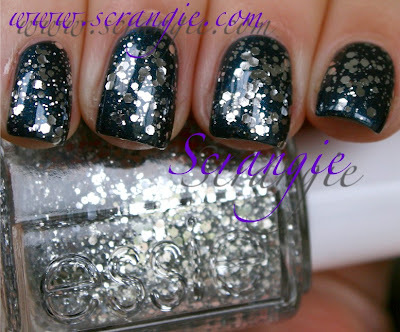 The blue tones show up at extreme angles but aren't as obvious on the nail as they are in the bottle. There's a heavy amount of flake in here and it provides very good coverage with only one coat. 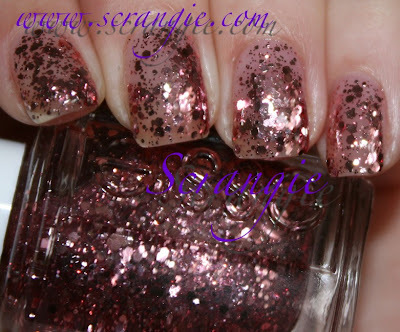 It is similar to other shades like Nubar 2010 or Sally Hansen Hidden Treasure, but the flakes in this one have a wider size range and the coverage is more dense with this one. As much as I like the way they look solo, I had to try them out over some other colors. Each of these are one coat of the Essie over their respective base colors. Essie A Cut Above over black. 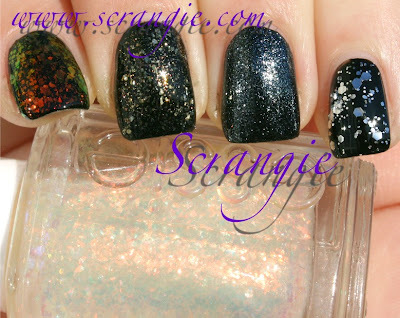 The black base provides a nice contrast with the lighter color of the glitter so all the shapes and sizes of glitter stand out. Almost looks like paint splatters, doesn't it? 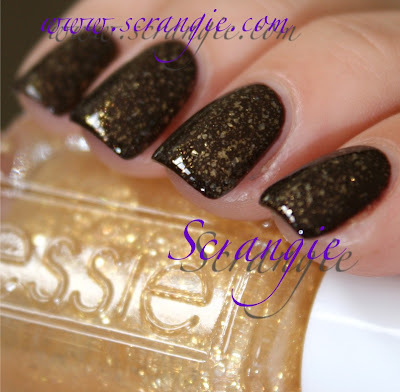 Essie As Gold As It Gets over dark brown creme. I like this even more over brown than I do over black. The brown brings out the red tones in the iridescent gold flakes. I think this polish would look good over anything, really. It's beautiful. Essie Pure Pearlfection over mint green creme. I had a hard time thinking of layering combinations for this one, but I think this one looks pretty good! The delicate, light-colored sparkle in this looks especially nice over pastels. Layering it over black is a given, but it's not all that interesting that way. 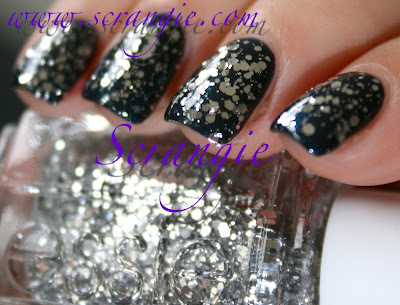 Essie Set In Stones over a dark teal shimmer. I was hoping for a starry sky look, but this is good too. 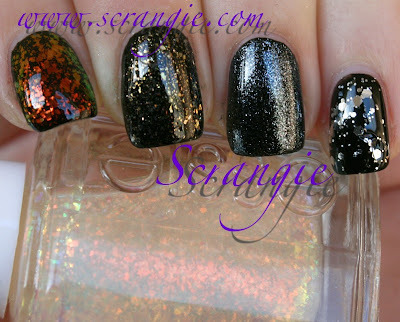 The dark base amplifies the differences in the glitter. Over a lighter color, it's not as easy to tell that there are different shapes in here. Over a dark color it really stands out. 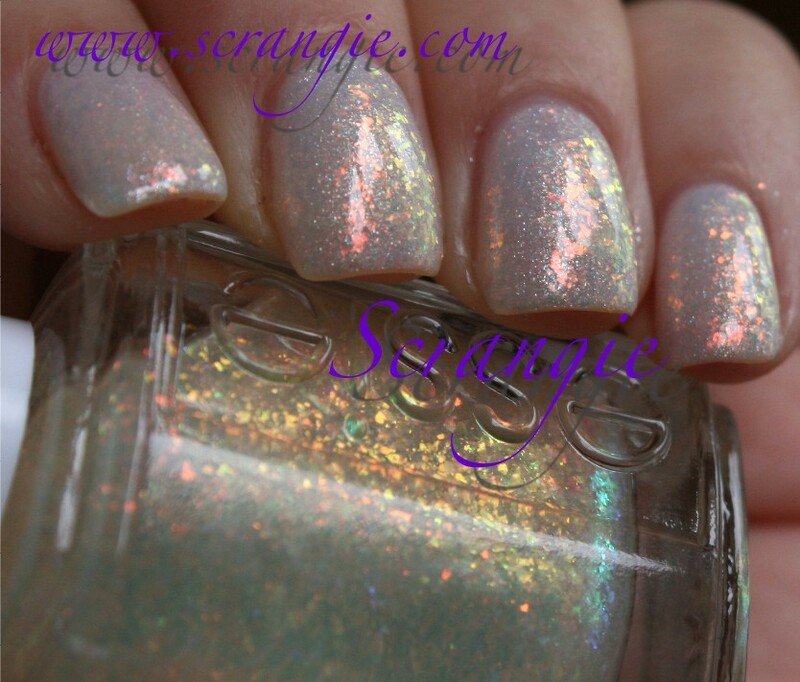 Essie Shine of the Times over a white shimmer. I am in love with this look. It looks like real opals! 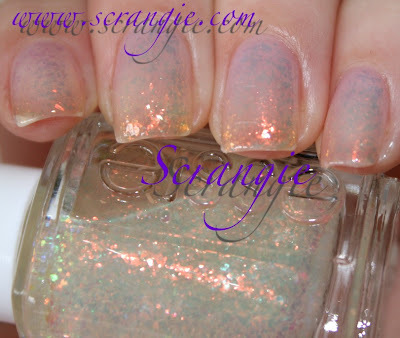 It's so glowy and sparkly, and then when you move your hand, you get the color shift too... Ahh, so good. I think I'll be wearing my nails like this for a few weeks. The formula on these was good. I didn't have trouble applying any of them. The texture was a little thick, but not thick enough to give me a problem. The polishes are sheer, but they're supposed to be because they're made for layering. I did two coats of each in the non-layered pictures and I really like how they look alone. Drying time is average. They dry smooth, but not very shiny, so I used one coat of topcoat on these as well. The one thing that gets me about this collection is that Essie claims that "the look is unparalleled depth and dimension." 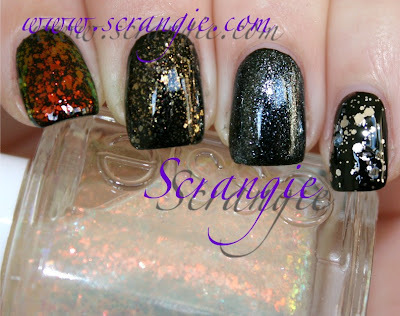 Truthfully, there are lots and lots of other polishes like these. The claim about adding depth doesn't really jive with me. These types of topcoats sit on top of a color and don't add depth. Sparkle, yes, but depth, no. They are a very obvious layer sitting above another layer. That's why I wasn't crazy about the CND effects, either. They just sit on top of the polish and have no depth. I'm not saying these are bad, in fact, I think they're awesome, I just think that the 'unparalleled depth' claim is a bit of a stretch, that's all. 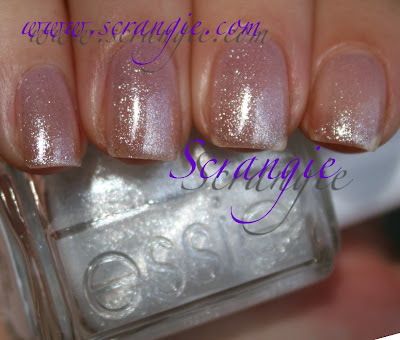 Overall, though, it's a nice set and something that I think Essie really needed in their line. Every other major polish brand has seen huge success with the glitter shades they've released in the past two or three years (think Lippmann Happy Birthday or the OPI Alice in Wonderland collection) and it's about time Essie added some sparkle to their otherwise conservative color range. The colors themselves are very pretty and they look great layered or alone. My favorite is Shine of the Times, but As Gold As It Gets is a close second. The formula is good, they're nice and smooth, and so far they've all looked great over every color I've layered them with. So now we've seen Essie do glitter and flakies... We've seen them do neons. They've even done a few blues and greens. I love seeing them slowly stepping out of that pale-pink-sheer-beige image that we all used to know them by! These are officially supposed to be released in December, but I already saw them out at Meijer a few days ago, so you should be able to get then right now. 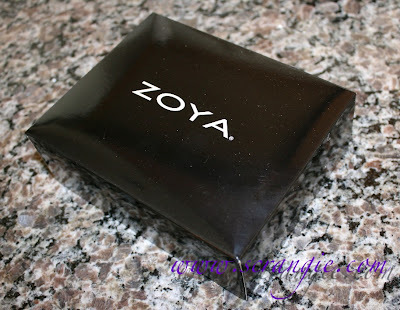 Looking for good gift ideas for the beauty addict in your life? Or even gift ideas for yourself... that's fine too. 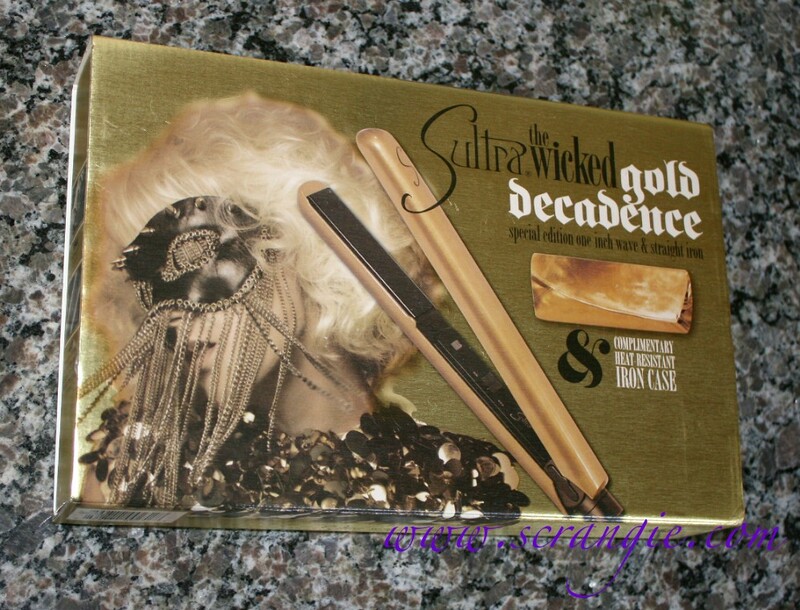 Behold the Sultra Limited Edition Wicked Gold Decadence iron. Now this is something that would make an amazing gift. If I had someone to give it to, I'd love to give this as a gift myself. No one I know uses a flat iron, otherwise I'd be seriously considering putting this little gold gem under the tree. It seems so glam and luxurious! It's a Sultra The Wicked iron, but it's special because it's all shiny and golden. 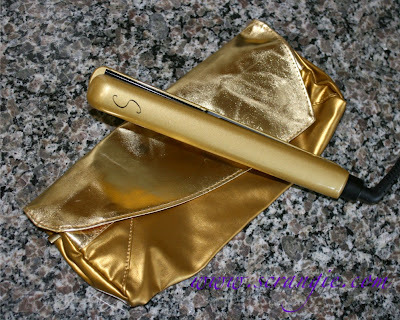 The shiny gold bag included with the Wicked Gold Decadence is a heat-resistant iron clutch. The thing that makes the Wicked different from other irons I've used is that it has no settings. Just an on/off switch. It heats to 375º, so all you need to do is turn it on. When you flip the switch, a red light indicates that the power is on, but what's cool about this is that you'll also hear a little tone to alert you as well. 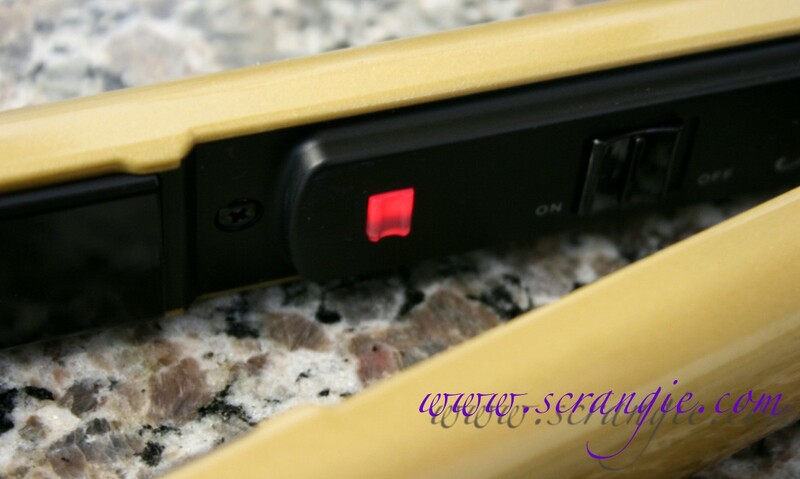 As the iron reaches full temperature, the indicator light blinks and you hear another tone that lets you know it's ready to use. The sound it makes sounds like one of those Tamagotchi digi pets I had in the 90s. Highly amusing. 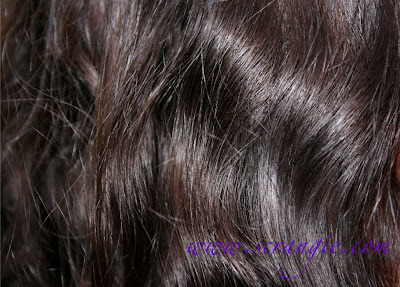 My hair is fine and thin and has an annoying half-wavy texture. Some parts are very wavy, some are completely straight, and it's not even all the way around. 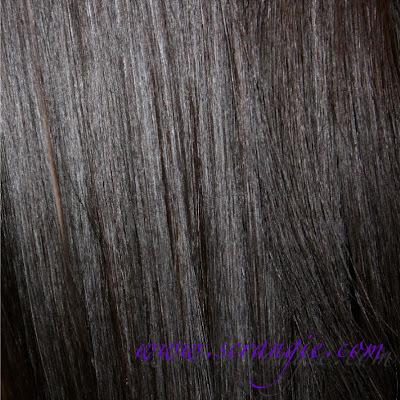 My hair is not difficult to straighten, but it does have a tendency to get very, very flat if I over-iron it. This is my natural texture at the waviest part of my hair. This is how it looks with one pass of the Wicked iron. It looks great on my bathroom counter. 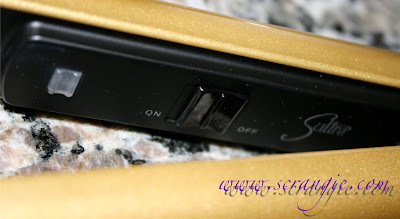 It straightens my hair in one pass. It doesn't pinch, snag, pull, burn or otherwise hurt my hair. Heats very quickly, lets you know it's ready with visual and audible indicators and retains heat well. Leaves my hair shiny, not fried or dry. It's less than half the price of my previous iron, the Hana Elite. It's also slightly less expensive than a comparable iron like the ghd 1" Classic, and about the same price as a T3 1" iron or a Chi 1" iron. Can be used as a curling iron, so it's a multi-tasker. It's smooth and easy to clean. Occasionally the iron would glitch out after powering on and continuously beep and not fully heat. Not sure what caused this, but turning it off, unplugging it and plugging it back in fixed the problem. It could be a little more gold. I'm serious! If it looked more foil-like and glossy like the bag that comes with it, it would be amazing. 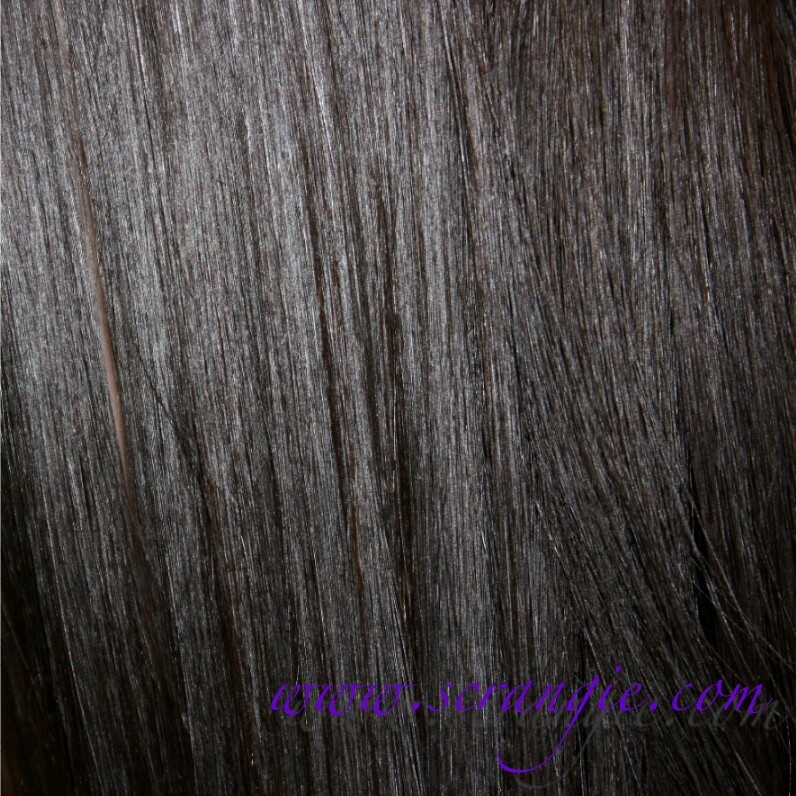 People with very thick hair may need a higher temperature than 375º to be able to straighten in one pass. It's not a solid gold telephone. Really having a hard time finding any flaws with this iron; it works extremely well for me and there's not actually anything I dislike about it. Honestly, I think this iron is practically perfect. It straightens my hair in one pass. It only over-flattens my hair if I overdo it on styling product. 375º seems to be the perfect temperature for my hair because it straightens it quickly but doesn't sizzle or make my hair feel fried or dry or rough. It doesn't have any bells or whistles like the other irons I've used, but the price is right and it works. I would definitely pay $165 for one of these. I'm not crazy about the pink one, but if I had the choice, I'd buy the gold or the black without hesitation. 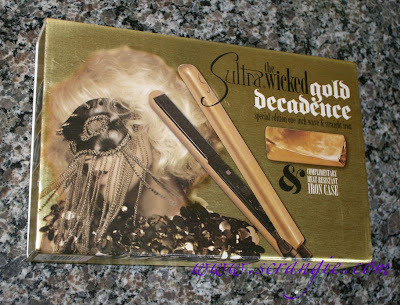 The Limited Edition Sultra Wicked Gold Decadence 1" Iron is available from Nordstrom or directly from Sultra. Zoya has a new item for Holiday 2011: The Color Box gift set. Normally they do little sets of mini polishes and treatment products, and those make great gifts, but this year they have something a little more luxurious. 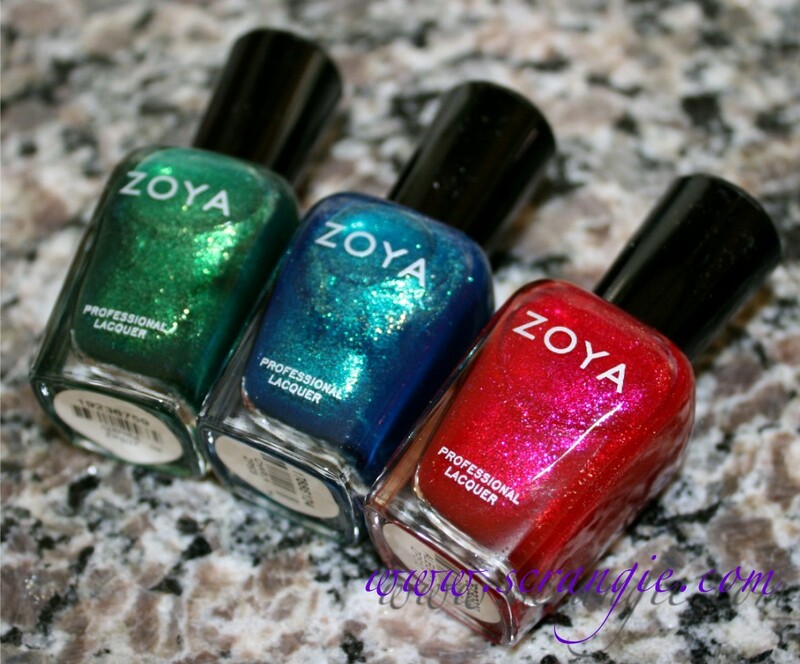 The Color Box gift set is a trio of polishes presented in a velvet Zoya jewelry box. Classic Contrast, which has Raven, Trixie and Luna. Classic Reds: America, Sookie and Carmen. Bold Greige: Caitlin, Kelly and Freja. Soft Greys: Harley, Marley and Dove. Rich Reds: Isla, Sasha and Sara. Perfect Greens: Yara, Edyta and Envy. Bold Pinks: Layla, Gilda and Lola. Beautiful Beiges: Avril, Mia, Addison. Classic Purples: Anaka, Moxie, Brie. Deep Purples: Jem, Roxy, Casey. Delicate Pinks: Laurie, Erika, Madison. 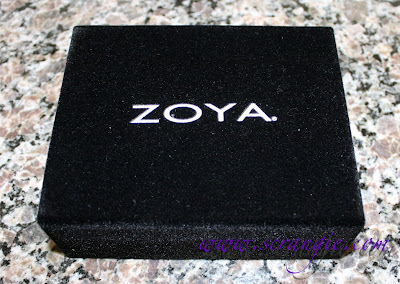 And I have the Spectacular Sparkle Color Box here to review. 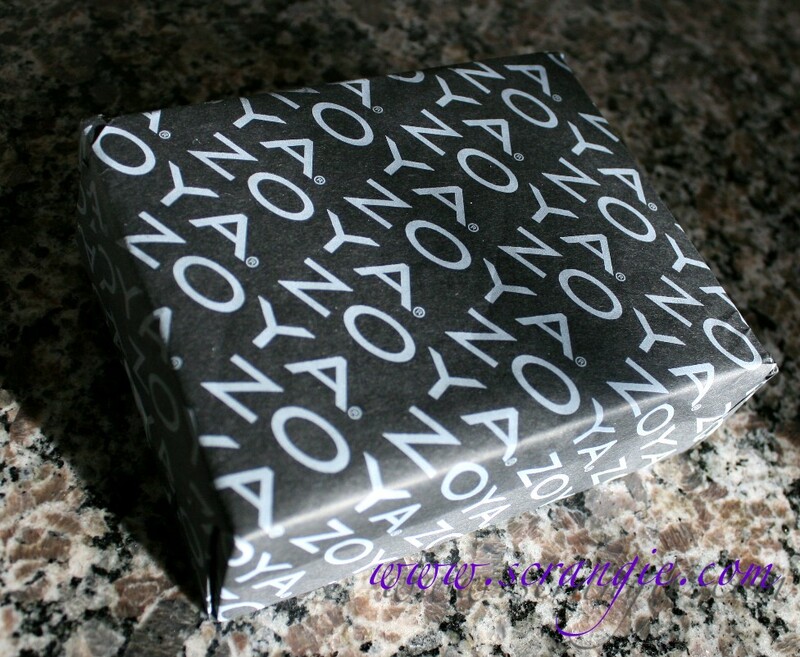 The Color Box gift set comes wrapped neatly in black and white Zoya tissue paper. 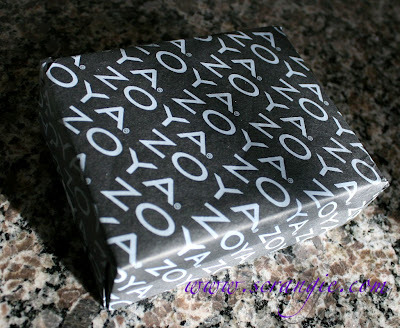 Removing the tissue paper reveals a glossy black protective box. Inside of that is a black velvet jewelry box with the Zoya logo printed in white on the lid. It looks dusty here, but that's just the camera flash playing with the fluffy, shiny velvety fabric. The top flap opens to reveal three Zoya polishes nestled in a secure foam tray. The tray can be removed if you wish to use the box for something other than storing three polishes. 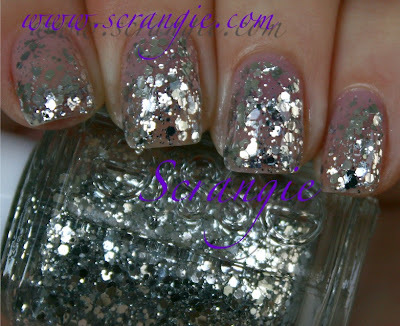 The polishes in the Spectacular Sparkle set are Ivanka, Charla and Alegra. 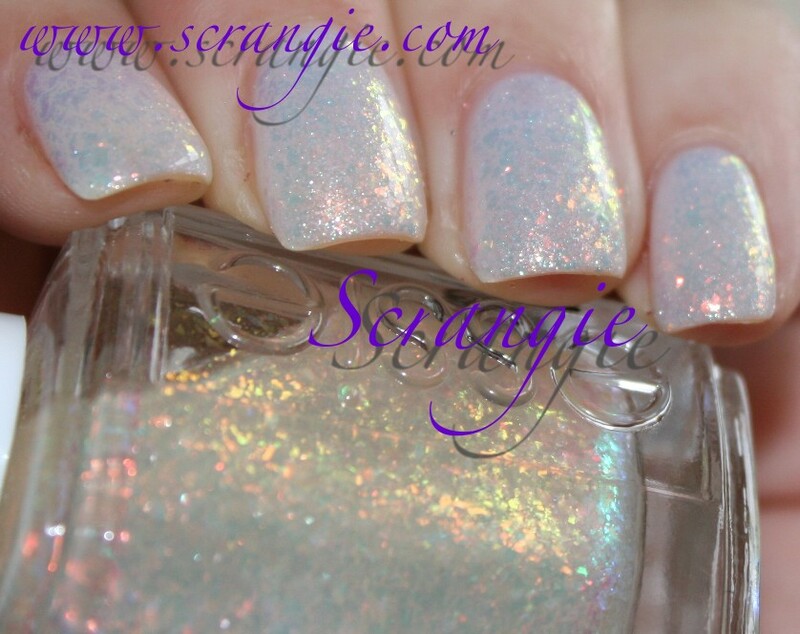 I have swatches of the Sparkle Collection here. The Color Box gift sets are $24 each. 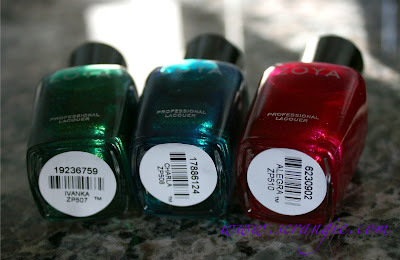 Or, you can buy just the box for $9 and pick your own selection of polishes if you don't like the pre-made trios. 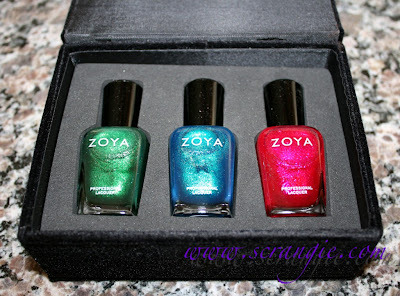 Even though it's just nail polish, the presentation of the three bottles displayed in the soft, fuzzy velvet box seems really special. It's like jewelry, but for your nails. These are available now on Zoya's website.